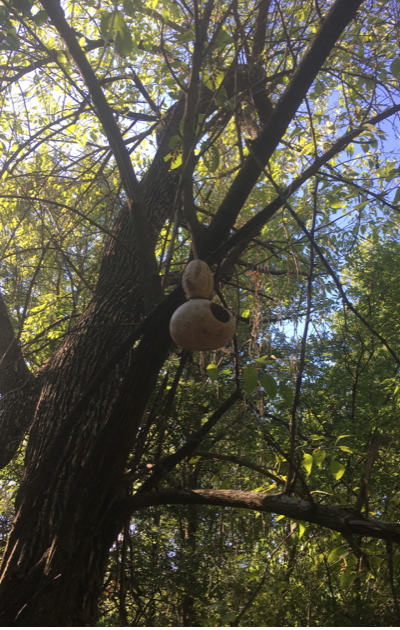 We dried out some special bird house gourds a year or two ago. 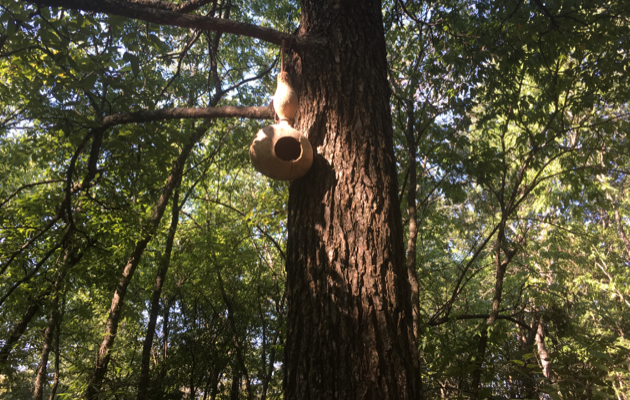 Hubs cleaned them, cut a hole, and hung wire from the top and together we walked through our woods hanging them from the trees. He resembled an old fashioned lamplighter with his walking stick reaching high into the branches, a little house hooked over the handle. They look very inviting, to me at least. And a happy-ever-after family will soon follow. 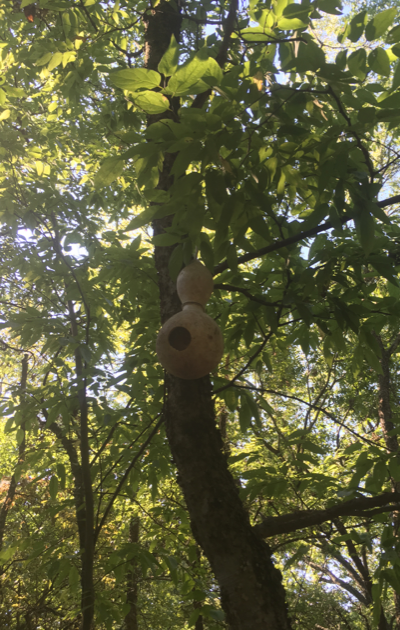 It takes a long time for birds to get used to new things but once they do these very practical, ready-made, nesting houses will make perfect forever homes!